Learn how you can create the perfect materiality assessment in record time. Since 2013, there has been a 72% increase of the number of recorded regulations concerning non-financial issues. And this trend looks set to continue. In the last year alone, organisations such as: the TCFD, The World Economic Forum, The World Federation of Exchanges (WFE), and a joint work by the Committee of Sponsoring Organizations of the Treadway Commission (COSO) and the World Business Council for Sustainable Development (WBCSD) - have all published their recommendations on how they expect companies to manage and disclose their non-financial risks. The evolution of accountability shows us it is only a matter of time before prominent voluntary initiatives will become mandatory regulations, as such being ahead of the curve will help businesses mitigate any backlash. How can companies navigate the complexity of the constantly evolving ESG regulatory landscape? What is the evolution of non-financial regulations? What voluntary initiatives are worth considering? What is the best way to identify trends across the most regulated regions and sectors, so businesses can prepare for what is coming in their own home regions and sectors? What material non-financial topics are emerging and developing? What impact do the different policymakers have on the different sectors? To read the full report, please fill in the form on the right. Download your eBook - '7 secrets to the perfect materiality assessment in record time'. Click the button below to open your eBook. Then download our eBook to see how you can also use Datamaran to help you deliver the perfect materiality assessment. Paul Sobel, Chairman at The Committee of Sponsoring Organizations of the Treadway Commission (COSO) and Vice President and Chief Risk Officer at Georgia-Pacific LLC. CSR and ESG are no longer just buzzwords. Failure to manage ESG risks can lead to financial losses. 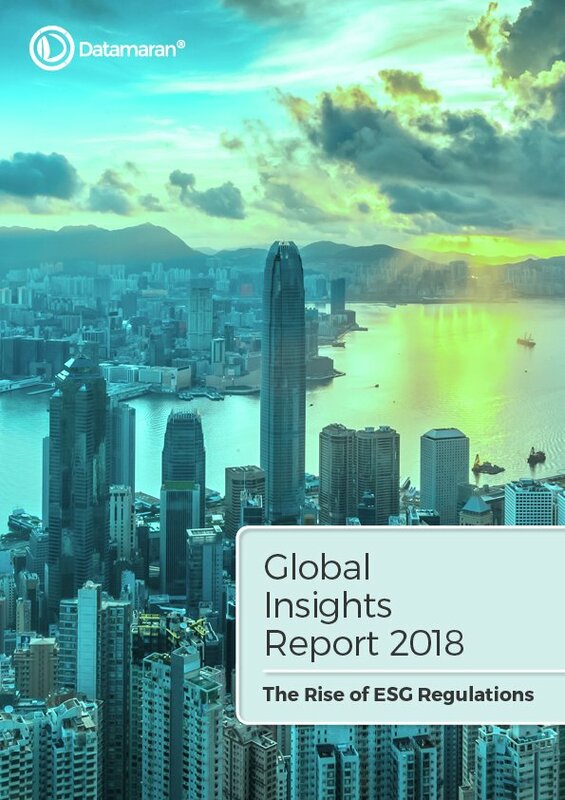 Datamaran Global Insight Report 2018 analyzes international and regional mandatory regulations and voluntary initiatives that have been published between 2012 and 2018. The focus of this research is on Healthcare and Pharmaceutical, Utility and Financial Services sectors in the United States of America (US), United Kingdom (UK) and Canada. But the advice in this eBook will increase your long term value to your client and enable you to serve more clients in the same amount of time.